Smith Tank & Steel, Inc. specializes in the construction and repair of API storage tanks. The company “was built on a commitment to safely delivering the finest quality product, on-time, and on budget.” They were looking for a cost-effective solution for their 10 x 10 and 10 x 20 booth spaces and they needed guidance on their graphics. 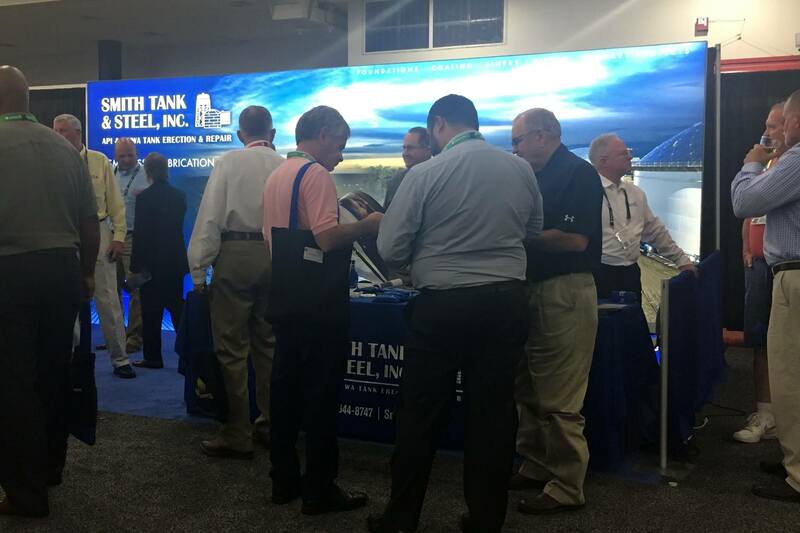 Smith Tank & Steel needed a portable exhibit that they could transport and set up themselves. Smith Tank & Steel stumbled across Exhibit Network’s website while they were shopping around for a new exhibit. During a visit to our showroom, we showed Smith Tank & Steel one of our FlexMod frames that would convert from a 10 x 10 to a 10 x 20. 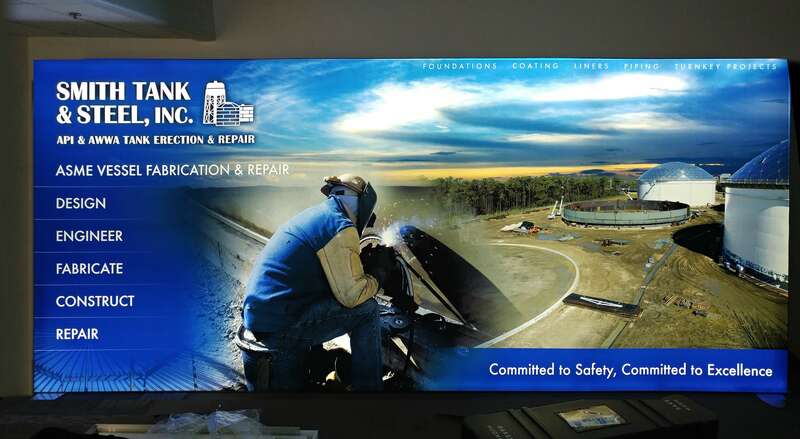 After advising them on their messaging and branding, we designed and produced 10’ and 20’ graphic murals using photos they provided to us. The 10 x 10 exhibit ships in one portable case, and the 10 x 20 configuration requires a second case. Since Smith Tank & Steel wanted to handle the exhibit on their own, we scheduled training for them and provided clear and concise set-up drawings. The showsite picture was taken at ILTA 2018 in Houston.